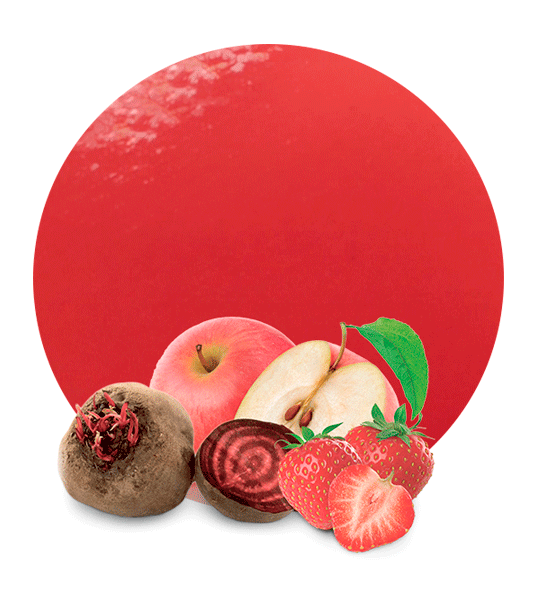 Our Apple Beetroot & Strawberry concentrate is bursting with goodness and flavour, the fruits and vegetables are harvested at the optimum ripeness and promptly transported the short distance to our processing plant. 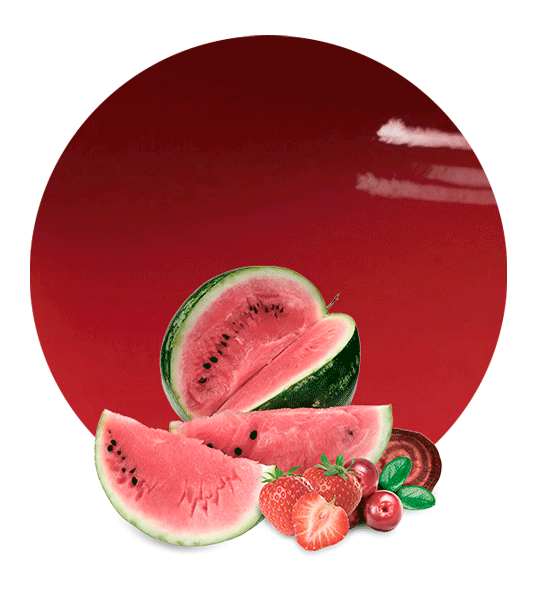 The concentration process preserves the fresh flavours and benefits of the raw materials, while allowing easy cost-effective transportation to our clients, worldwide, where they are used in a range of products across the food and beverage industry. Apples are one of the worlds healthiest fruits, loaded with health-enriching vitamin C and polyphenols which contribute to cardiovascular health. They also provide potassium, calcium, iron and vitamin A.
Beetroot is often labelled a superfood; the deep vibrant colour comes from unique phytonutrients called betalains, which have antioxidant, anti-inflammatory and detoxifying properties. Beetroot are a rich source of beneficial vitamins and minerals, such as vitamin C, folate, vitamin K, B-6, riboflavin, niacin and thiamine, magnesium, calcium, potassium, phosphorus and zinc. Strawberries are popular for their irresistible sweet taste but they also provide a wealth of benefits, containing anthocyanin, responsible for the red hue of the ripened berries. These flavonoids have been shown to have twice the antioxidant power of vitamin C! 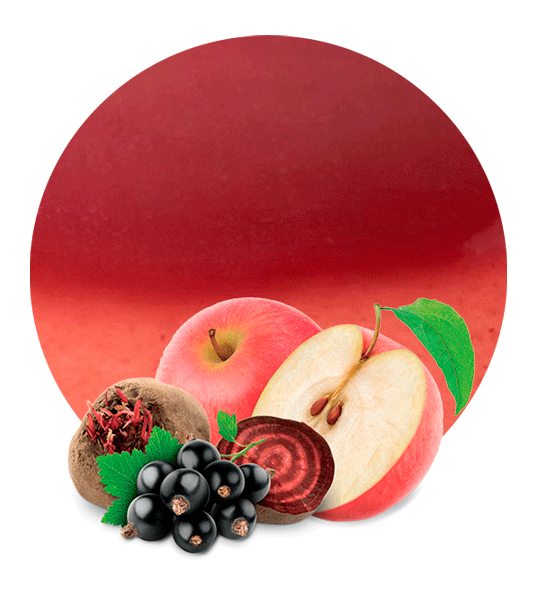 They also contain significant levels of beneficial minerals and B-vitamins. Our Apple Beetroot & Strawberry Concentrate is aseptic and frozen at -18 degrees Celsius for convenient use and transportation. Global leaders in the fruit processing industry, Lemon Concentrate offer decades of experience in providing juice concentrates, essential oils, pulp cells, powders, syrups and even custom blends for our valued clientele. 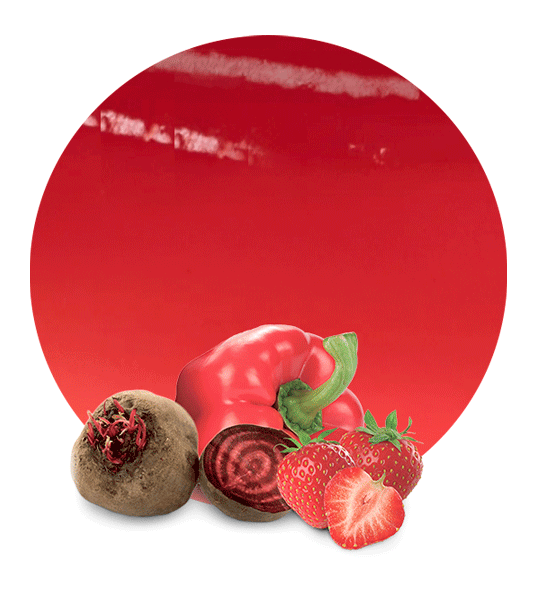 Situated among some of the biggest fruit and vegetable plantations in Europe, in the Murcia region of Spain, we pride ourselves on absolute traceability, maintaining minimal distance from field to factory.